VitalEnergy is a business run by Sabina Bird who is an exercise and movement specialist. "I believe life is about balance and for this reason I have a holistic focus in my work, aiming to help my clients make healthy lifestyle choices. I am a fully qualified Personal Trainer, Pilates instructor, Yoga teacher, and Intrinsic Biomechanics Coach. Mind, body, mental well-being and soul: it all comes under the heading of healthy exercise!" ​My aim is to help you improve your mood, health, fitness, strength, energy levels, and overall life satisfaction. Exercise should be fun as well as hard work, something that enriches our lives, but it should also be intelligent: exercise prescription needs to be as unique as you are. Sabina is an exceptional teacher and I have loved every minute of every class, whether individual or group sessions. She is bright, knowledgeable, encouraging, caring and, above all, great fun. No two classes are the same but each one focuses on the needs and abilities of each individual, always motivating, and stretching us further than we think we can go but never too far. 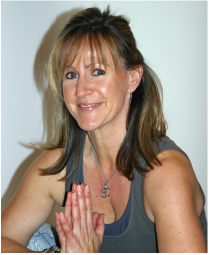 Sabina's wide knowledge of yoga, Pilates, biomechanics and holistic health uniquely equip her to design the best possible combination of exercises for each individual and to make all her classes relevant and interesting. I cannot recommend her too highly.